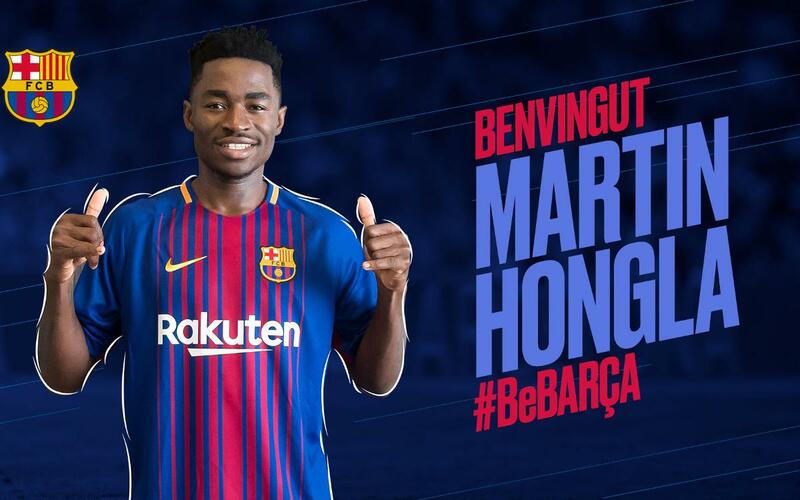 FC Barcelona and Granada CF have reached an agreement for the loan of Martin Hongla to Barça B until 30 June 2018, with the option to purchase the player at the end of the season. The 19-year-old born in Yaoundé, Cameroon and a product of the Nkufo academy, signed his new contract at the Ciutat Esportiva offices on Tuesday in the company of Barça B director Silvio Elias. The centre back / defensive midfielder joined Granada last season and has made 23 appearances for their B team in Division 2B, as well as playing ten games with the first team before their relegation out of la Liga.